One of the nicest projects I have been involved with in recent years was helping a local pub define its target audience and come up with a strategy to attract the right customers. It started with an email from one of the directors of a rural pub in the South Downs National Park. A group of local villagers had just acquired their local pub that had been under serious threat of closure. By the time they contacted me they had the product in place – a tastefully renovated, renamed 17th century pub and a great menu offering with a team led by a pub manager who shared the villagers’ vision. 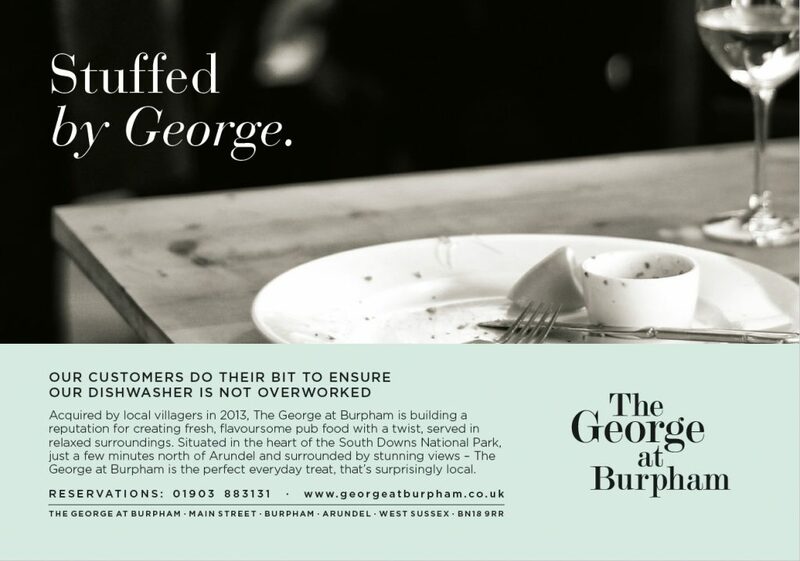 Where they needed help was cost effectively finding customers that would share their love of rural pubs in great surroundings, serving imaginative food with a warm welcome. In essence they needed to grow the business to guarantee the long term future of the pub. It was great to meet the team at the pub, they worked well together and they all bought very useful skills from their day jobs. After much discussion over several meetings we opted for a distinctive look to the advertising – which appeared as a series of adverts in local, glossy coffee table magazines with a slightly irreverent message. Also, as the pub had a great back story, we made sure that journalists writing for our target market were given full access to the story and the team behind it. Customers were also made aware that they could nominate the pub for a Best Community Pub award – which they won. It was useful that since day one the pub had been data capturing diners that completed customer satisfaction cards, although nothing had been done with the email addresses. As a result we were able to set up regular e-letters, communicate special events to the customers and ensure front of mind awareness. The customer feedback also enabled the team to make tweaks to the food offering. The pub now enjoys a regular clientele that extends far beyond the immediate area, ensuring the future of the pub. So drink to the future of The George at Burpham!